Explore lighted trails as you stroll under the twinkle of a million lights. Picture Frames - the perfect #instagram moment. They twinkle and change colors, and make a dazzling backdrop for your holiday photos. and sip on cider in our licensed bar. Whisper your wish list to Santa. Kick up your boots, dance and sing along to daily live music and entertainment. Built for kids of all ages, swoop, jump and tap to change colours. All aboard! Enjoy a leisurely ride around Christmas Glow on our trackless train. Buy early and save 30% off tickets! Our Season Pass is the best way to Glow through the holiday season with your loved ones. 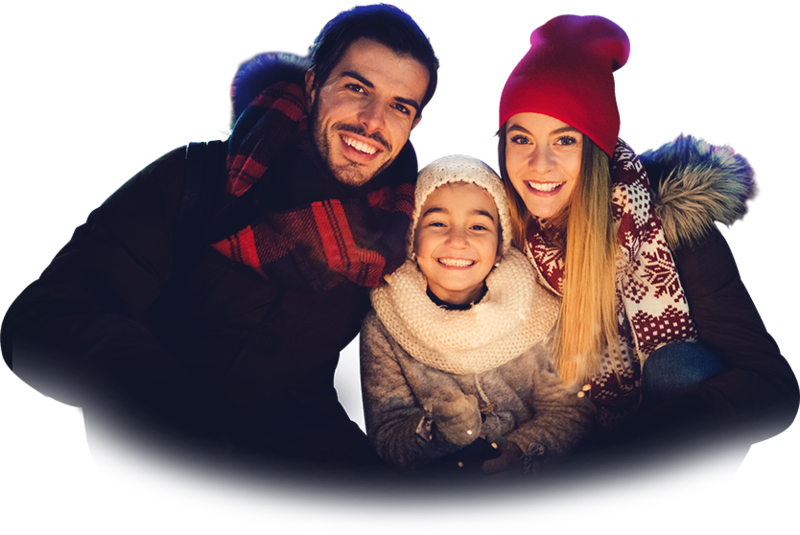 A Season Pass is only $34.99 (regular price: $49.99) for an adult and $26.99 (regular price: $38.99) for seniors and children ages 4-12 for an entire season of holiday fun. Upon your purchase, we will send you a confirmation email with information and next steps. When tickets are on sale in July, you will also receive an email when the calendar becomes available and it’s time to start planning your visit. Your Season Pass is registered to your name so make sure you bring your photo ID every time you are ready to Glow! A Season Pass is valid for one weekend and/or stat holiday booking, and an unlimited number of visits Monday through Friday, excluding holidays. Select the quantity of Season Passes you require. Please note: each Season Pass is per person. $34.99 (regular price: $49.99) for an adult and $26.99 (regular price: $38.99) for seniors and children ages 4-12. Children 3 and under are free. Once you purchase your Season Pass, you will receive a confirmation email which contains further information and next steps. You will be notified once tickets go on sale in July! Season Pass is valid for one weekend and/or stat holiday booking, and an unlimited number of visits Monday through Friday, excluding holidays. Reserving time slots through our Christmas Glow calendar is subject to availability and cannot be combined with other promotional offers. Season Pass can only be used to reserve two dates at a time (one weekend date AND one weekday). Season Pass purchases are only valid for the entry into the original city of purchase and are not interchangeable between multiple locations. The world’s largest indoor Christmas festival is now even closer to you, brightening up 11 cities in 3 countries. Join the joyous 1.6 million guests ready to Glow and celebrate the warmth of the season! Bring together the people you love to stroll, laugh and play under the twinkle of a million lights. Our playgrounds and interactive features will entertain the kids for hours, while the adults kick back at our licensed bar and enjoy some seasonal beverages, delicious food, and live music. Glow’s illuminated sculptures are the perfect backdrop for selfies and holiday family photos. *Plus service charges and applicable taxes. * Prices are approximately $2 more per person at the door, if tickets are available. Last year, most dates sold out online in advance. special events and delightful promotions. The World's Largest Indoor Christmas Festival is Coming to Vancouver!